Widow and mother of five full grown males, Sarah Matthews lives the best she can—one day at a time. Now that her babies are having babies, she relishes in spoiling her grandkids. 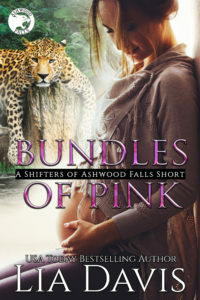 But her inner mountain lion is restless and Sarah can’t shake the feeling something is lurking in the woods surrounding her home. The unease becomes a reality when a man she thought died with her mate five years ago comes back into her life with trouble on his heels. Damian Palmer never considered revealing his existence to his best friend’s widow. Hell he didn’t know how she’d react to knowing that he was alive for the last five years while her human mate was dead. 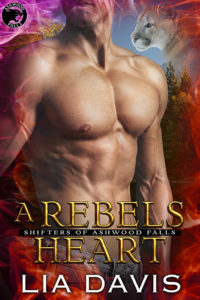 When he got word that Sarah has become Shield’s—a human rebel organization set up to hunt and kill shapeshifters—next victim, he must go to her and uphold his best friend’s dying wish to keep Sarah safe.